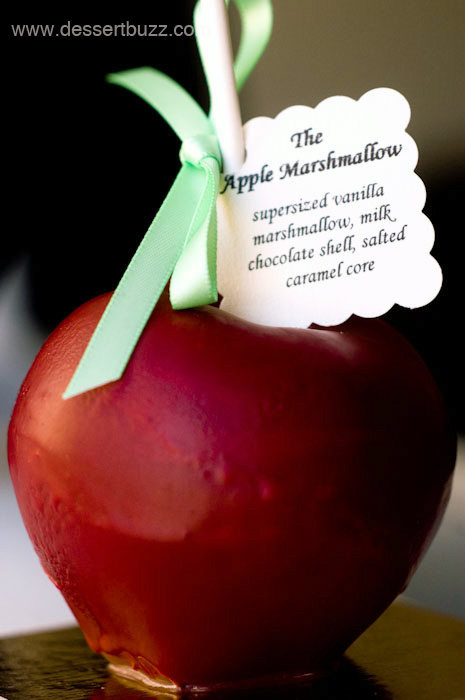 The special-for-Halloween, Marshmallow Apple from from Dominique Ansel bakery is one pretty cool bit of pastry. It’s beautiful to look at and fun to eat. 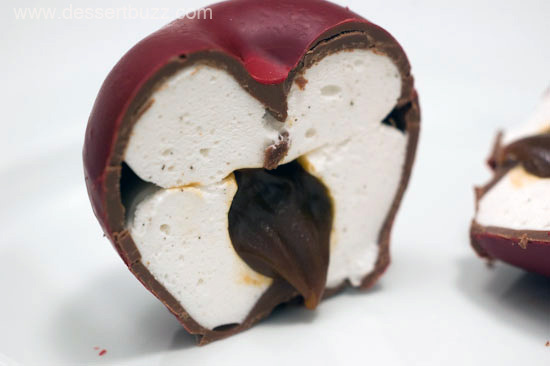 Bring this as a gift to your next Halloween party and your hosts are sure to be grateful. 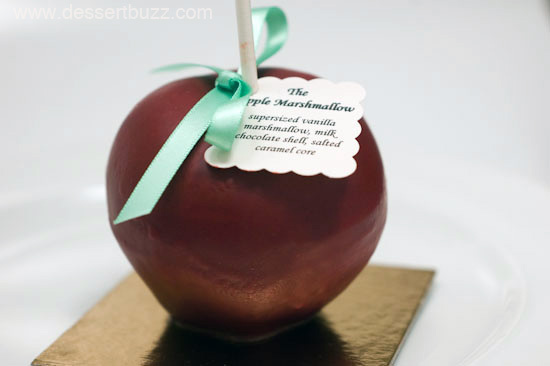 The apple shape is made from a thin layer of milk chocolate. 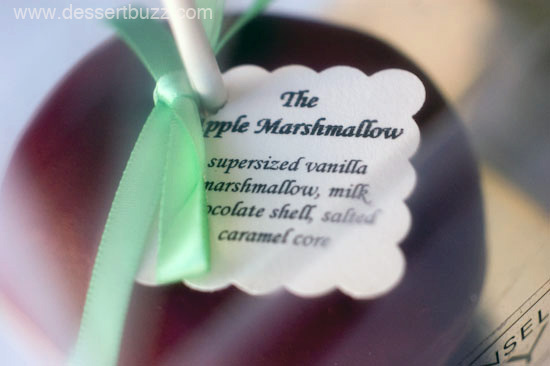 The inside contains a very light house-made vanilla marshmallow (made using real vanilla bean). At the core is soft-but-not-runny pocket of caramel. 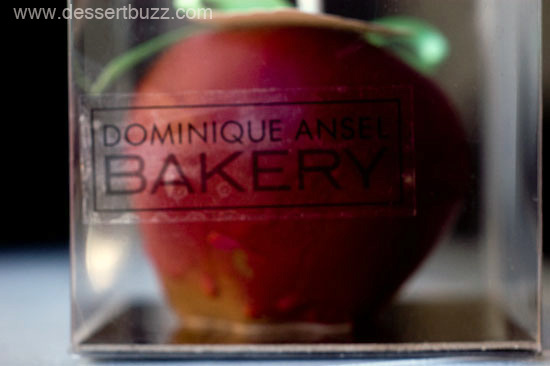 The apple costs is $11.50 and comes with a custom see-through plastic gift box. Read on for more photos. 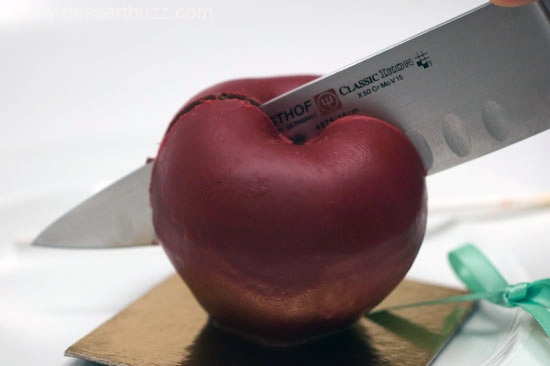 No chocolate cracking here--the knife slides though like "buttah"
The City Sweet Tooth » Sweet Fall Links!